Cute. Cuddly. Capable of rending the fabric of space and time itself. It's H.P. Lovecraft's Elder God himself, Cthulhu, rendered as a plush doll! 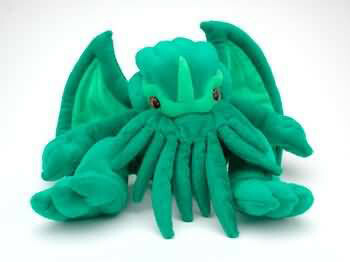 The Great "Cuddly" Cthulhu features a face full of tentacles, poseable wired wings, and floppy limbs.